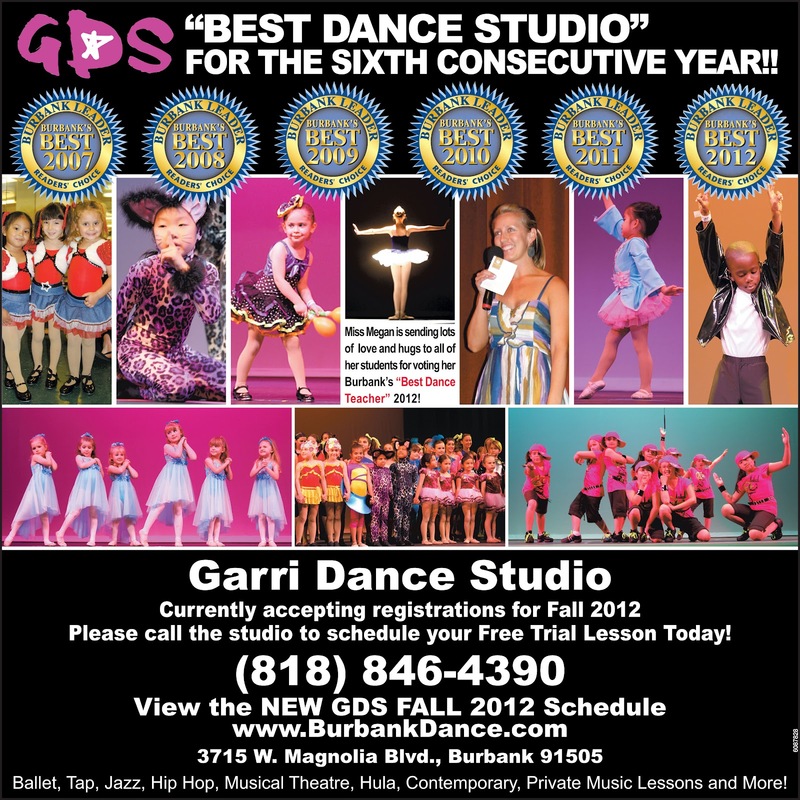 Garri Dance Studio, Burbank: GDS Voted "Best Dance Studio" for the 6th Consecutive Year! GDS Voted "Best Dance Studio" for the 6th Consecutive Year! 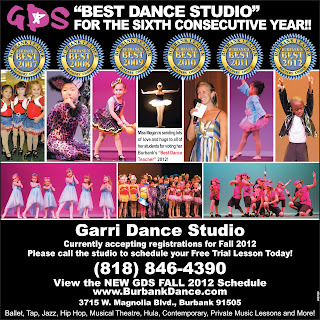 We are honored to be voted "Best Dance Studio" in Burbank for the 6th consecutive year! We can't wait to keep bringing the best classes, teachers and overall best dance experience your way! Peg Garri is smiling down with pride on all our dancers, new and old:) Happy Dancin' everyone!